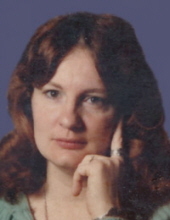 ALEXANDRIA, IN – Barbara E. (Hendrix) Banter, 69, passed away on Tuesday, July 17, 2018 in Community Hospital at Anderson following an extended illness. She was born on January 5, 1949 in Anderson to James and Valencia (Ryan) Hendrix and has lived in the Alexandria for most of her lifetime. Barb was a hairdresser. She enjoyed quilting, caring for her dogs, classic car auctions, but most important was the time she spent with her grandchildren. Family and friends are invited to time of gathering and sharing on Sunday, July 22, 2018 from 4 pm to 8 pm at the Noffze Funeral Home, 501 North Harrison Street, Alexandria. Cremation will follow the visitation. Inurnment of cremains will take place at the Garden of Serenity Columbarium in Park View Cemetery in Alexandria at the convenience of the family. Memorial contributions are requested to the Noffze Funeral Home to assist the family with final expenses. Envelopes will be available at the visitation or donations can be made directly using the Make a Contribution button on Barbara’s obituary page at www.owensmemorialservices.com. To send flowers or a remembrance gift to the family of Barbara (Hendrix) Banter, please visit our Tribute Store. "Email Address" would like to share the life celebration of Barbara (Hendrix) Banter. Click on the "link" to go to share a favorite memory or leave a condolence message for the family.